After decades of trying to feel good about ourselves, why do we still hunger for meaning and significance? In this provocative book, Glynn Harrison argues that self-esteem ideology has led us down a psychological cul-de-sac that causes more harm than good, and today's culture of narcissism and entitlement is the pay-off. Healthy psychological development and fulfilment come from seeing the self as part of something bigger. To achieve the sense of significance that we long for, we need a worldview capable of generating meaning and purpose. The Christian gospel calls us beyond the goal of self-esteem, encouraging us to stop judging ourselves, embrace our identity in God's big story and look outwards to the pursuit of his glory. This is the only sure foundation for biblically based optimism, confidence and personal resilience. 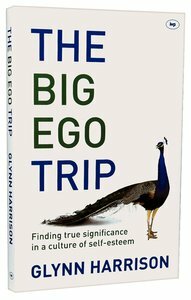 About "The Big Ego Trip"
Glynn Harrison, MD, is Emeritus Professor of Psychiatry at the University of Bristol, UK, where he was a practicing consultant psychiatrist and Chair of the Department of Psychiatry. He speaks widely on issues of faith and psychology, neuroscience and psychiatry. He is married to Louise.